The Blu Disposable e-cigarette offers a similar vaping experience without complexities of dealing with a standard vape. It costs significantly less than more advanced vape products. Its low cost, ubiquity, and simplicity have made it a common introductory product for many new vapers. Best e-cigarettes show off the convenience and ease-of-use vaping affords over traditional cigarettes. 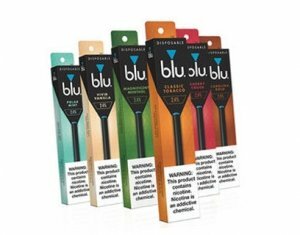 To cater to different taste preferences, Blu Disposable e-cigs are available in six different flavors. Since they are also relatively inexpensive, these vapes offer a fun way to try out Blu’s standard flavors before committing to the purchase of a more advanced vape device. As fully self-contained devices, these disposable e-cigarettes require no maintenance or assembly whatsoever. They come ready to use in the box, and vapers need only to extract them from the package and remove the rubber seal to start using them. Using a button-less design, they activate with a medium-strength pull. It makes them feel somewhat like smoking a regular tobacco-and-paper cigarette. E-cigs do not need to be recharged, and the batteries and e-liquid can last for up to 400 puffs. Blu first started selling its disposable e-cigarettes around the start of 2010. They have gone through several iterations since then. The current generation of Blu Disposable e-cigs draws from the lessons learned from previous generations to provide a refined vaping experience without the problems old versions had. Newer versions require less strength to pull a puff, something that many vapers complained about in the past. They also have a slightly bigger battery and more e-liquid than previous iterations. Newer versions produce a more satisfying hit with better flavor than vapers had previously experienced with them. Blu Disposable e-cigarette is a great, affordable substitute choice for when traveling with a regular vape is not practical. Blu Disposable e-cigs are easy to use. E-cigarettes come packaged in a box with a single e-cig inside sealed in a plastic bag. A rubber cap protects the mouthpiece. Users can replace it to keep the unit clean while not in use. To start vaping, simply remove the unit from the packaging, remove the cap, and take a pull. The automatic pull-activated design eliminates the need to press any buttons to get the unit to fire and produce vapor. The tip-mounted indicator lights up to let the user know it is active. The unit comes pre-charged. It does not need or come with a charger. It also comes fully charged with one of the six classic Blu flavors. There is no need to deal with messy filling and refilling procedures. 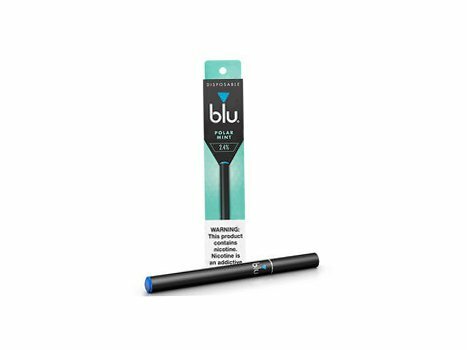 The Blu Disposable comes equipped with enough vape juice and battery charge to last for up to 400 puffs. This might decrease depending on how full of a puff the user takes. 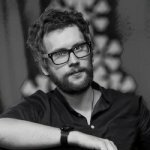 Once the depleted, users can simply throw the device away and start on a new one. Blu Disposable e-cigarettes come in six flavors. Vapers can choose from either classic cigarette-like flavors or something less like tobacco. The company’s cigarette-like flavors have a very authentic taste. Classic Tobacco tastes very much like a normal cigarette, especially when using the stronger 4.5-percent-nicotine version. For a stronger flavor, vapers can choose the more cigar-like Caroline Bold. For vapers who prefer menthol- and mint-flavored vapes, Blu offers their classic Magnificent Menthol and Polar Mint flavors. The Magnificent Menthol tastes just like traditional menthol cigarettes. Polar Mint spices it up a bit with a touch of spearmint. Finally, vapers who want something sweeter in their vapes can choose from either Vivid Vanilla or Cherry Crush. The former is smooth and creamy but not too sweet.The later makes vaping more refreshing with fruity notes. The NJOY Daily has been Blu’s biggest competitor since the company is one of the first started selling e-cigarettes. Being slightly cheaper, the NJOY Daily makes up for the less-premium vaping experience with a wider selection of flavors and nicotine strengths of up to 6 percent. Unlike the Blu Disposable, these disposables last only up to 300 puffs. The Veppo Disposable Electronic Cigarette comes in at roughly the same price point as the Blu Disposable. However, unlike its Blu or NJOY counterparts, it does not offer as many options. 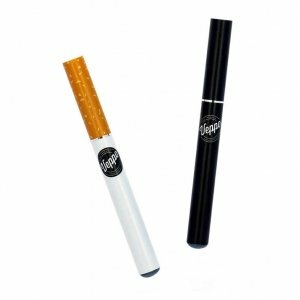 The Veppo Electronic Cigarette also comes only in two flavors: tobacco and menthol. The Blu Disposable offers a reliable vaping experience that has, so far, gotten better with time. Hassle-free use makes it great for vapers who do not want to contend with recharging, refilling, or maintaining a more advanced unit. It is an affordable travel companion vapers will not have to worry about losing. The myblu™ is a compact pod vape managing to deliver a competitive vaping experience. Choose a variety of high-quality flavors. GET $20 Off Discount 💨 after reading Juul review. The Juul is hands-down the best e-cigarette around. Check out here our comprehensive review of the legendary JUUL starter kit. Know the six best cig-a-likes, and how they make a good kit for beginners and advanced vapers alike. Read our article and find out who they are really for. The Halo G6 E-Cig Starter Kit offers a visually appealing aesthetic without sacrificing any quality on its tanks, batteries, and cartomizers.